24th-30th March is National Spring Clearing Week. This is the perfect time to finally get around to clearing that clutter in your home. 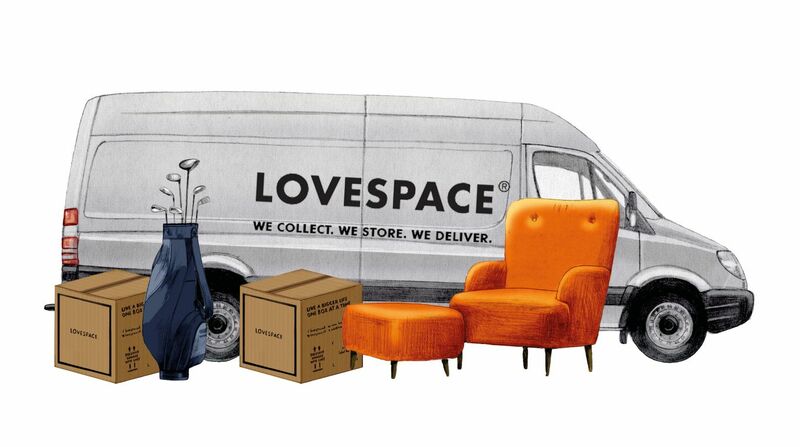 LOVESPACE teamed up with APDO, The Association of Professional Declutterers and Organisers, to get some top tips on clearing your home from their professional declutterers. If you’re overwhelmed and don’t know where to start your decluttering, pick a specific category of items like DVDs, bedding or jumpers – rather than starting with a whole room. Look for easy wins to get the ball rolling, such as anything you haven’t used in a year, things which are broken or damaged, or items you’d forgotten you even owned until you just found it! Invest in one type of hangers for e.g. all black. Turn all of your hangers the same way round and when you have worn an item and hang it back up, turn the hanger around. This way, at the end of each month you can see which items you haven’t worn and if the same culprits keep appearing you will know what to consider storing, donating or selling. It’s not just your home that you should be decluttering this Spring Clearing week, don’t forget to tidy up your car too. For many of us, we get in the car to go to work and to come home and therefore it is important that it’s fresh and clear to put you in a relaxed mood. Bin the sweet wrappers, get rid of the old parking tickets and make sure anything that needs to stay in your boot is organised. Before you leave a room, look around and pick up anything that belongs in the room you are going to next. Always take at least 1 item upstairs as you go and return it to it’s place. This way, you tidy as you go and your space will always look clear and calm. We all know the quote “a place for everything, everything in it’s place” but if your things are everywhere it’s important to label the shelve or drawer once you’ve decluttered and organised it. This way you and other people in your household know where things are and thus know where to find things. We live in an age where most of us now use our mobile phones to take photos on and this is where we store them, however, a lot of us still have huge, unorganised piles of photographs. Usually stored in various locations within the home; lofts, in a box under the stairs, in drawers, in envelopes, you name it, we’ll find a spot to “shove” photos in to. This isn’t the easiest of tasks, but guaranteed once you start, there will be no stopping you and you’ll enjoy the trip down memory lane! Set some time aside to start gathering and collating all photographs, loose photos as well photos already in albums. Get rid of any poor quality photos or duplicates and decide on a system for organising your photos. It could be by year, by friendship groups etc. Make sure all photos are in the appropriate storage box or photo album. Let go of the ‘what if’ items you’ve only ever used once. That tent you bought for a camping trip that put you off camping should be passed onto someone who will make good use of it. And in the future, think about borrowing or renting before committing to a purchase. Also if you have any borrowed items lying around at home, be sure to hand these back as soon as possible. Not only will this clear some space, but it will keep you on side with friends and family so if you want to borrow anything in future they are more likely to lend it to you. Try and avoid “tip of the iceberg” syndrome which is when you focus on how much more there is left to do. When you make progress, celebrate it! If you declutter your wardrobe or tidy a whole room then reward yourself with a treat. Decluttering should be enjoyable and something you want to continue doing so don’t let it overwhelm you and take it step by step. Often we find ourselves going upstairs or into another room and then forget why we were there. This can make being organised and decluttered around the house even more difficult. Try using a sticky label to write down the task and stick it on the back of your hand so you don’t forget and you can get back on track if you get distracted. If a job can be completed in under one minute – get it done! Process the day’s post and receipts straight away and recycle junk mail; put shoes and coats away as soon as your return home; keep the kitchen table clear; and put dirty clothes in the washing basket and hang clean ones up. Apply this rule regularly and you will quickly start to create more space and a calmer, more organised home. Once you’ve picked an item up that’s when you should make the decision about what to do with it. If you’re going to keep it, put it in a place where it will be most useful and accessible. If its recyclable, put it in the appropriate bin. If you’re going to sell it then place it in a labeled box ready to sell when you have more time to advertise it. If it’s for charity, bag, label and get rid as soon as possible. For items that you don’t need around the house every day but want to keep, consider storing them. The danger is if you don’t deal with the items there and then, you’ll have second thoughts, and if you put it to one side you’ll have to go through the process again another day which is less efficient. It’s also a good idea to have labeled boxes or bags to drop things into. Initially this will be hard but once you gain momentum you’ll be more efficient with your time and become more organised quicker. Tackle a big pile of paperwork in stages. Go through it and get rid of any rubbish first as this could dramatically reduce the pile in a short space of time. Got some holiday brochures from years ago that you don’t need anymore? Bin them. Coupons that have expired? Get rid. Then group remaining paperwork into big categories to start with to make it easier and faster eg anything to do with the car/house/finance etc. Everything will start to become easier to find as you go on. This should stop paper work getting out of control in the future so you’ll only have to tackle it once. Empty your wardrobe, and pick up all clothes from your floordrobe, and lie them all on your bed. Make space in your room for three categories; Keep, think about and pass on to charity or store. Hang all of the keep items up neatly in your wardrobe with long garments to the left, making more floor space on the right. Come back to the “think about” pile later in the day. All the gear, no idea where to put it? You may not have an attic or a large storage cupboard to keep all of your sporting equipment and therefore it can end up cluttering up your home and becoming a hazard. Stash your beloved but bulky ski or camping gear safely in self-storage. This way you can enjoy it when you need it without tripping over it the rest of the year. Spring Clearing week is the perfect time to get started decluttering your home. These tips should help you along the way. 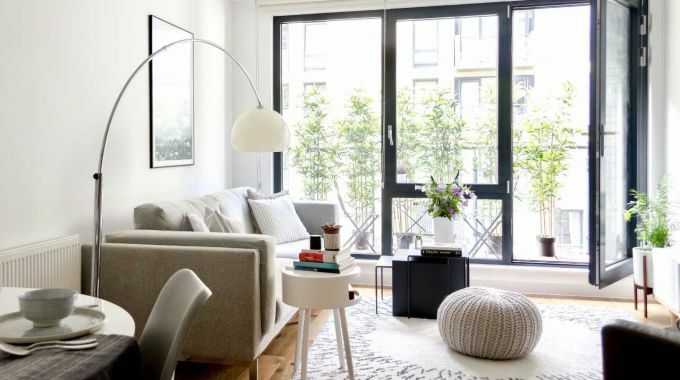 If you need professional help decluttering their home then why not check out some of the professional declutterers in this article and see how they could help you. Have you got any great decluttering tips? Let us know on Twitter using the hashtag #LOVESPACEtips. Enter code SPRINGCLEARING at the checkout for 10% off storage.